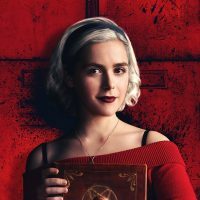 The Chilling Adventures of Sabrina has been teasing it’s second season, basically since it’s the release of it’s first season back in October. Fans thought season1 was dark, but now that Sabrina has had her dark baptism and dedicated herself to the Dark Lord…there’s so much more to see. Today, we finally got the trailer for Part 2 which will hit Netflix April 5!